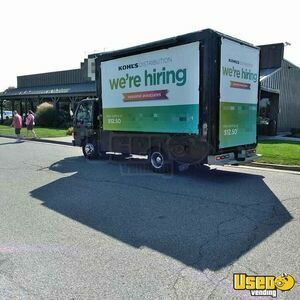 Isuzu Mobile Sign / Billboard Marketing Truck for Sale in Michigan!!! REASONABLE OFFERS WELCOME- Motivated Seller! Advertise your business, product, service or others anywhere when you grab this 2001 model Isuzu mobile sign / billboard marketing truck! Has 150,252 miles. See more details below. I was very pleased with the help that I got from Melissa. The time she sent on the transaction and answering all my questions and helping me through the purchase of my new trailer. If I ever need to look for another one I will be sure to get ahold of them again. Things just went so smooth and she eased my mind being a first time buyer in the vending field. Thanks so much for all the help and time that was spent on the deal. 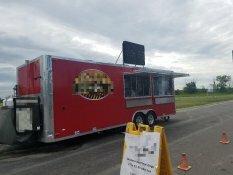 I bought my food trailer without any problems or hassle. 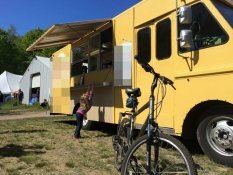 I bought my food trailer without any problems or hassle. Tonya was awesome though the whole process. I would use them again in the future. 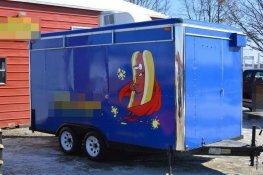 It was a tough decision to sell our concession trailer but they made the sale easy. 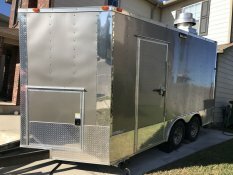 It was a tough decision to sell our concession trailer but they made the sale easy. If I have any more food vending equipment to sell in the future Ill definitely be listing it with them. Thanks for the help selling it and making it simple on my end. UsedVending is the best, they got the job done. UsedVending is the best, they got the job done. Thanks Wendy. She had a buyer within 48 hours. My experience with UsedVending was excellent, I love the fact that I worked with the live sales agent who went above and beyond, helping me every step of the way Thank you Wendy. She had a buyer within 48 hours. She went above and beyond... I would definitely recommend this company for purchasing vending equipment. Wendy did a great job walking us through the process and mediate between us and the seller. She went above and beyond with giving us full access to her phone number to text with updates. I would definitely recommend this company for purchasing vending equipment. ... helpful, timely and provided guidance throughout the process. 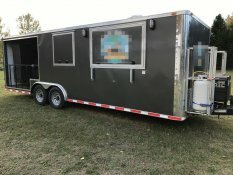 We purchased a trailer and it was exactly as depicted on site. The representative was helpful, timely and provided guidance throughout the process. She continued to follow-up until I had the unit parked at my house. UsedVending did a fantastic job through the entire process. I received quarterly updates on units that met my criteria via email. Each advertisement contained enough pictures and information to know the unit in great detail. Once I decided upon a unit, I contacted the personnel at UsedVending to start the purchasing process. I was greeted with a friendly, professional person that assisted me with the process – Wendy Byrd. She was courteous and knowledgeable. We completed the paperwork and transaction and I picked up the unit, but Wendy was always by my side which made the process easier. She continued to follow-up until I had the unit parked at my house. When I go to buy or sell another unit, I will be using UsedVending.com. 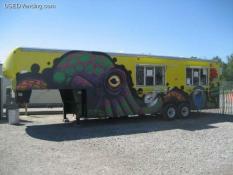 I felt more at ease with the UsedVending.com system for researching and ultimately purchasing our concession trailer. It was great to work with a broker so we knew we were getting verified information from the seller. 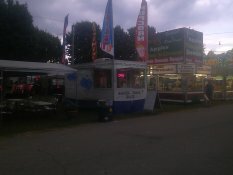 I felt more at ease with the UsedVending.com system for researching and ultimately purchasing our concession trailer. We're really looking forward to using it at baseball games this summer! 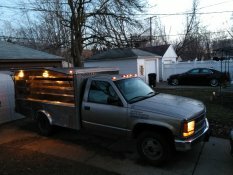 I was happy with the way I bought the truck. If I need another one you will hear from me. Hi Bradley your help was good and friendly. I was happy with the way I bought the truck. If I need another one you will hear from me. I have been telling everyone about your website, and thanks again. I would recommend working with this company for a safe and secure purchase!!!! So, my experience working with UsedVending was such a smooth one, I was a bit skeptical at first but the staff was reassuring which made my transaction super easy! I especially enjoyed working with Melissa, she was very knowledgeable and informative with every question I had. With all the crazy scams that are out there, I would recommend working with this company for a safe and secure purchase!!!! I would recommend used vending to anyone . She was available whenever I needed to speak with her and gave me the sound advice I needed to secure a sale. Wendy was very helpful throughout the sale process. She was available whenever I needed to speak with her and gave me the sound advice I needed to secure a sale. The transaction was seamless and very fast. 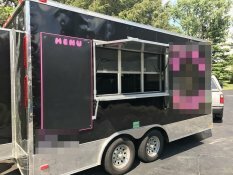 I had been searching for a used food truck for quite a while, basically striking out on all the common internet sites (E**y, C*****list Etc) After during an extensive search I came across Usedvending.com. 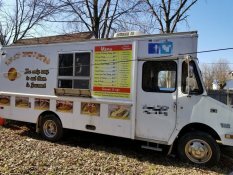 From my very first phone call through to my final purchase Usedvending was their to help and guide me through my purchase of my food truck. My agent Bradley was extremely knowledgeable on all facets of the purchase. From equipment, to negotiation, to closing the deal. Bradley and the team were there every step of the way. I highly recommend Usedvending.com as your one stop source for buying vending equipment. Used Vending, I wanted to drop and note and say thanks to your company and the EXCEPTIONAL SERVICE provided by your representative Jennifer. Words cannot express how much I really appreciated her professionalism, communication and guidance throughtout this process. I have already been spreading the word about your company and will continue to recommend your company to others in the future. Thanks again Jen and the UsedVending.com company! 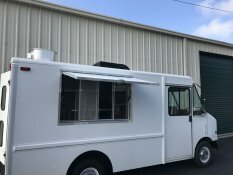 Hi Usedvending, it's Tom from Comfort Cruzine food truck - we just sold, thanks to the great people you have on staff, especially Wendy Byrd. She answered any and all questions went out of her way to make this sale happen, thanks again and happy holidays. All in all, the experience from start to finish was positive & pretty seamless. 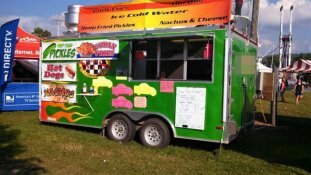 I Contacted Jennifer Melerine at USED Vending in May.I informed her that I was looking for a food truck & the price range willing to spend. She promptly forwarded several vehicles to my email. Jen was very helpful in answering questions & walking me through the process. She coordinated with the seller (in another state), and arranged for me to see the vehicle. She also followed up before, during & after the transaction. 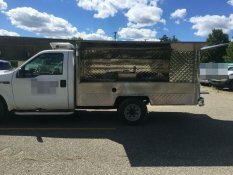 The vehicle was purchased the first week in July. All in all, the experience from start to finish was positive & pretty seamless. 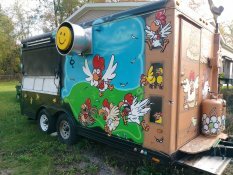 I won't hesitate to call Jen for our company's next food truck. Far exceeded my expectation and really went the extra mile! 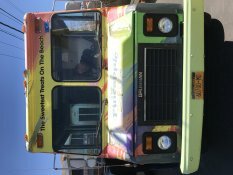 Melissa did an excellent job facilitating the sale of my food truck. Far exceeded my expectation and really went the extra mile! She found us exactly what we were looking for at a great price! Melissa was wonderful to work with. She found us exactly what we were looking for at a great price! We couldn't be happier with our experience. I would like to tell how pleased I am with the way everything went with the purchase I made through Usedvending.com. I cannot say enough about this website. Melissa was excellent. What drive and dedication, Melissa worked with the buyer, stayed in contact with both of us. Follow up calls for both parties. 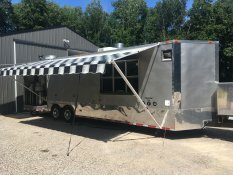 I cannot say enough about this company, my trailer was sold in roughly 5 weeks, amazing. Very satisfied. Thank You Melissa and Usedvending.